From start to finish, we strive to offer top-notch electrical and HVAC services to all of our customers, large and small. We're able to achieve these high standards through supplying quality products and impeccable service. 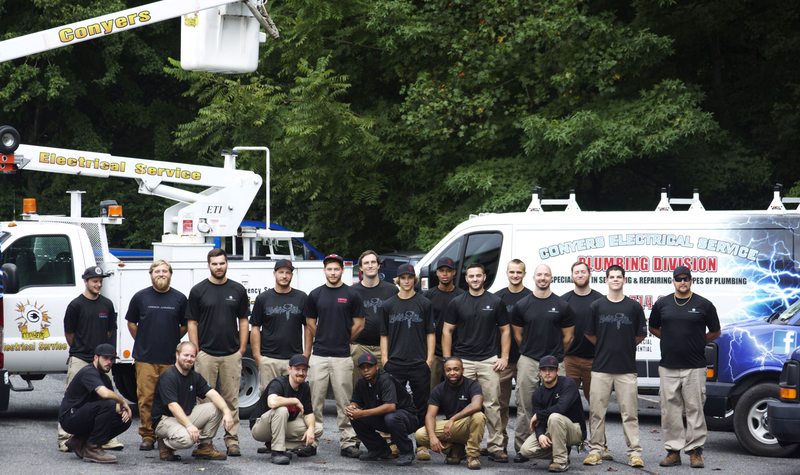 Conyers understands that emergencies happen 24 hours a day, so we make sure to have contractors on call 365 days a year, 24 hours a day, to service any residential, commercial or industrial electrical or HVAC emergency need! Conyers Electrical Service was founded in 1968 by the late Ron Conyers (Steven's father). Steven worked side-by-side with Ron and learned many of his electrical skills working with his father. Steven operates Conyers Electrical in Ron's legacy - always keeping in mind the lessons and skills learned by his mentor, father, and role-model, Ron Conyers. Our Contractors and Managers are here to help! Steven is a father of three and is the owner of Conyers Electrical Service. Steven grew up in the Kempsville area of Virginia Beach, and now resides in Chesapeake, VA.
Cody is a father to one and helps with the day-to-day operations of Conyers Electrical. Cody is also a electrical contractor and manages the entire contractor team at Conyers. Schedule one of our contractors today.